The exams prepared by branch teachers of secondary school classes and Situation Assessment Exams (DDS) are planned at the beginning of the term and are stated in the exam schedule. The exam schedule is posted on the bulletin board by the school administration, and is published in the student and teacher module. Students are evaluated taking into account their exam results, performance homework, project work and classroom performance. With subject tests applied at the end of units, the learning process is evaluated. The evaluation results are reviewed by the relevant departments and feedback strategies are created. The exam results are shared with parents and students with the ÖDEP and e-school systems. Monitoring exam results and working in cooperation with the school is considered the main responsibility of the students and parents. The exam result analysis where the areas the students are successful in are stated according to exam results, as well as the benefits they need to complete, can be followed on our website. The exam results are included on the system on the seventh day following the day of the exam. In order to login to the system, the “PORTAL” heading of www.irmak.k12.tr should be opened and the “Exam Results Information (ÖDEP)” should be opened, and to login the parent must enter their T.R. Identification number, and the parent access password. In the event that assistance is required, contact can be made with the Assessment Evaluation Department. 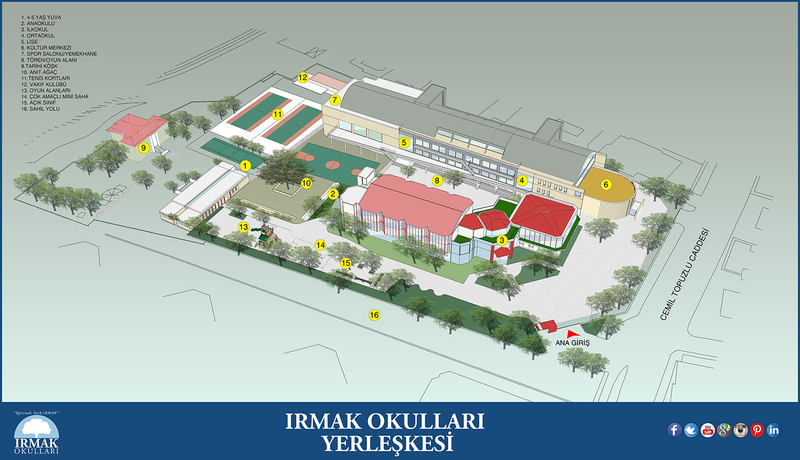 As of the 2012-2013 academic year at Irmak Secondary School, collaboration with the unbiased and reliable institution Cito Turkiye has commenced at 5th, 6th and 7th grade level. Cito, established in 1968, is an international assessment and evaluation association based in the Netherlands. Cito, who provide consultancy services in various areas in 30 countries, is the largest organization of its kind in Europe. As an active member of the PISA Consortium, it has an active role in the development of PISA studies. Development / interim reports are one of the assessment tools used in preschool, primary school and secondary school classes. The development/interim assessment reports given at the end of each term together with a report card, is an evaluation tool whereby teachers share their views regarding the personal development of our students. Students share their observations regarding the academic and behavioural observations about the students, their data and thoughts with a written text or evaluation chart. Student success; is evaluated taking into consideration the specifics of the courses, project work, performance homework, written exams according to class level, classroom performance and grades obtained from project work. Written examination, performance homework, classroom performance and project evaluation is carried out from a score of 100. The grades given are written directly on the transcript. The arithmetic average of the scores given each semester is taken, and is converted to a 5 scale. This page was created on 8.2.2017 10:50:27 and has been visited 1108 times.